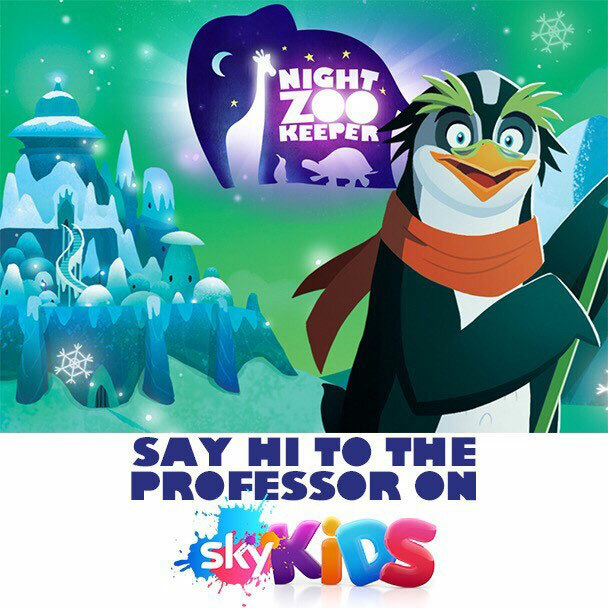 Joshua Davidson, MA Digital Practices graduate is the Founder and Managing Director of Night Zookeeper; an education online tool for children aged 6-11 to discover and learn through creativity. 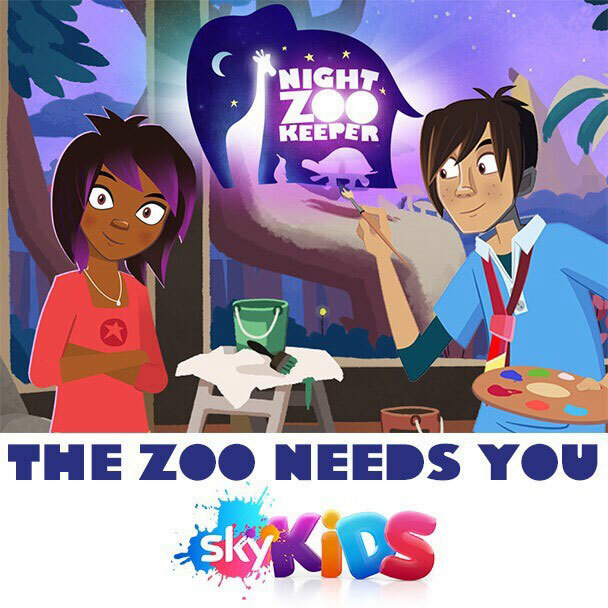 The Night Zookeeper encourages children to produce their best writing, be creative, and fall in love with learning. Fellow NUA graduate, Simon ‘Buzz’ Burman, who studied BA (Hons) Graphic Design in 2007, is the creative director of the company; the pair met whilst studying and collaborated after they left university. 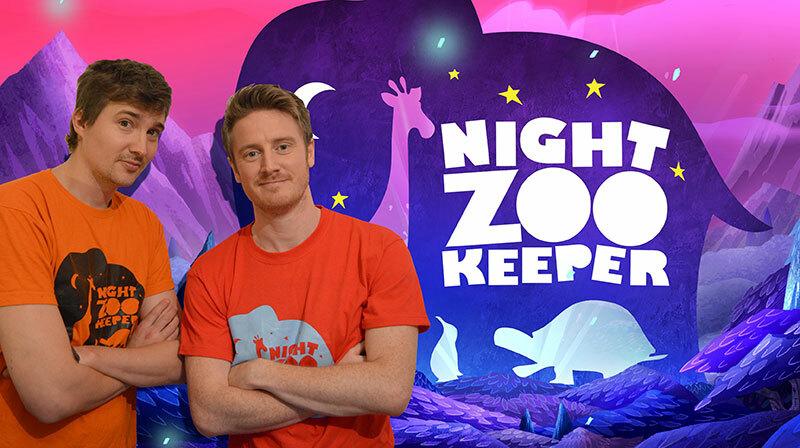 In January 2019, Night Zookeeper was launched as a TV series on Sky Kids, we spoke to Joshua to find out how this opportunity came about. 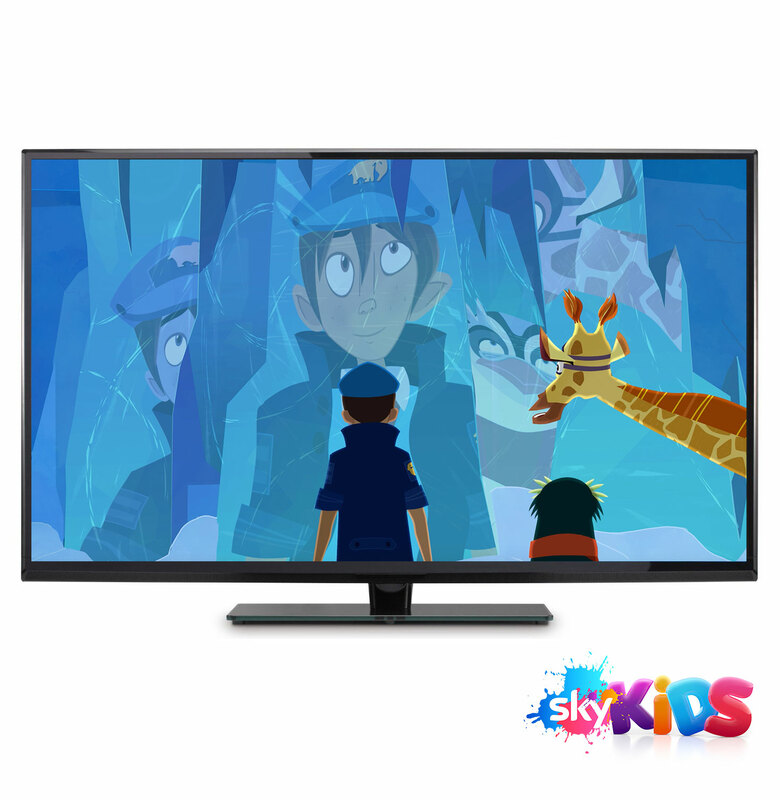 Night Zookeeper is about the importance of creativity and imagination. There are bizarre magical animals in a Night Zoo and the Night Zookeeper has to care for them, whilst protecting them from mass produced robotic spiders called Voids! These are sent to the Night Zoo by the Lord of Nulth who has declared war on the unique zoo animals that live there. 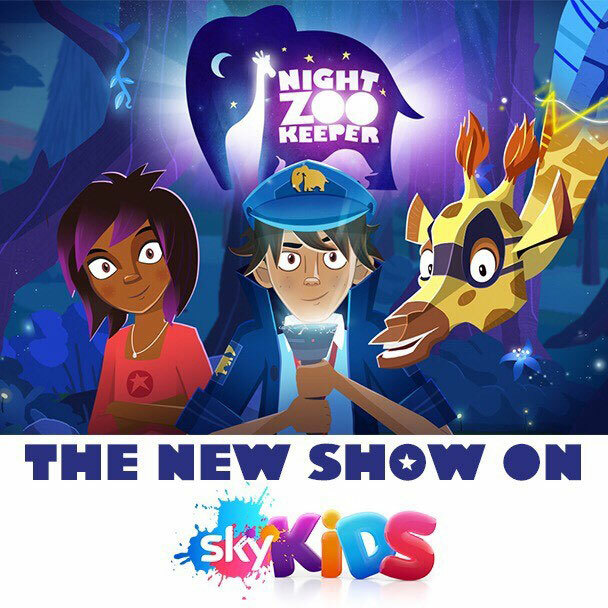 In this series the Lord of Nulth has a plan to steal all of the colours and it’s up to Will the Night Zookeeper and his friends, to stop him! Will is a 10 year old boy with an active imagination and a desire to always do the right thing! He has to look after the animals in the Night Zoo using his teleporting torch and magical orb. You can learn about how Will became the Night Zookeeper in our book series published by Oxford University Press. The first one is called The Giraffes of Whispering Wood. Riya is 11 years old. She is much more rebellious than Will but just as creative. She loves to sing and tell stories. Where Will is cautious, Riya is bold and although he initially doesn’t want her there, Riya is a fierce ally. "Night Zookeeper came to me during my MA at NUA. I already had the idea for the children’s story, and when I studied a module entitled Collaborative Practices, I combined the story with a desire to create an interactive story, where others could collaborate and help build a huge narrative world. " You mentioned that the TV show is interactive and children can contribute, how does this work? This will be the first animated series in the world where kids can contribute 100s of ideas for each episode. They can submit ideas on our website. They will need a parent or teacher to register them and then they can just start completing challenges. Where did you get your inspiration for Night Zookeeper as an educational tool? Night Zookeeper came to me during my MA at NUA. I already had the idea for the children’s story, and when I studied a module entitled Collaborative Practices, I combined the story with a desire to create an interactive story, where others could collaborate and help build a huge narrative world. This turned into an educational project when a friend of mine, who was a teaching assistant at the time, asked the kids he worked with to submit ideas for my website. Turning an idea into a successful business is a real challenge; what has been the key to your success? It has been such a long journey that I have to say persistence has been crucial. However that persistence has only been possible because I love what I do and enjoy working with the people I’m doing it with. Ideas like Night Zookeeper require the support of so many people to get off the ground from investors to employees. It’s been such a team effort. Well, we have just launched a way for parents to use Night Zookeeper at home with their children. It is a great way for kids to be creative, practice their writing and fall in love with learning. I’m hoping that lots of parents will check it out and get involved this year. Beyond that, I’d love to make the first kid co-created Night Zookeeper movie – so I guess that’s my next big step!